The top Dj from Venezuela Tony Guerra is on fire! After djing across all his country he is getting international reputation with cool releases on label such as Nervous NYC or Manchester Underground Music! 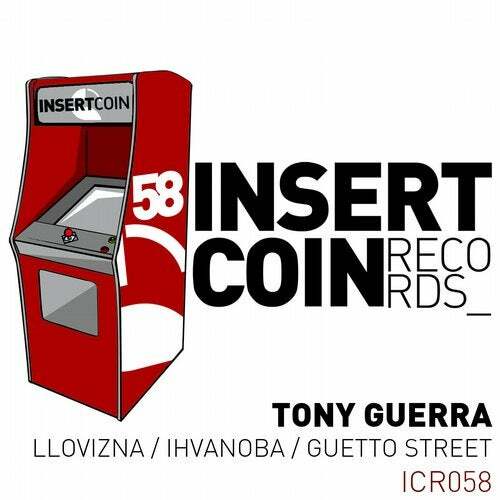 Now its time to welcome Tony Guerra to Insert Coin Records family! Tony Guerra shows what is he made of with this massive bunch of devastating tracks! Opening the single Llovizna-, we got a hit here, dark and groovy rhythm featuring latin vocals to make a winner. Tony gets more into the techno vibe with Ihvanoba- and -Guetto Street- tracks! Laaargee!